We’re offering 4 x 1-day shoots and 4 x 1-day edits booked across 2019. Many shoots take 1 day and the edit takes a day. This deal does only cover our costs so external costs such as kit hire, actors or location hire plus mileage will remain undiscounted as we have no control over them. Additional “Silvertip” costs like extra filming days, additional crew requirements will be discountable too. This set up will include a director/cameraman, camera, lenses, lighting, audio recording equipment and the edit and picture grade plus a set of changes and digital delivery of the final finished files. 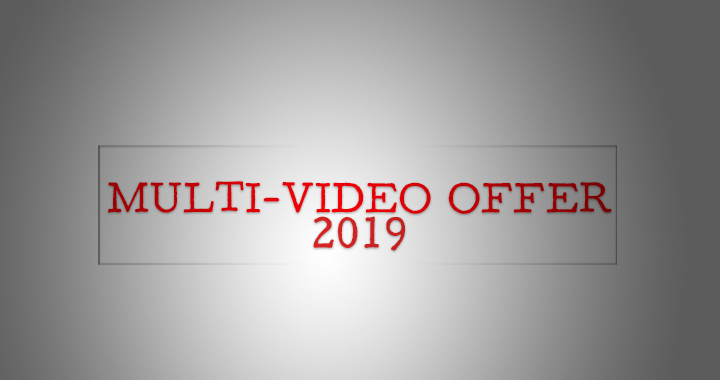 If you are planning on releasing multiple videos throughout the year or if you yourself have clients that you know will each want a video produced, this could be a way for you to lower your overall costs and have your video content booked in for you or your clients for 2019. You could get various live events filmed to make a promo for the next time the event runs. You could shoot multiple pieces of content in a day such as case studies, client testimonials, staff interviews, vox pops, recipe videos, demonstration videos, tip videos or product reviews to be released over a number of weeks. You could film a promo for your business and then produce other pieces of content within the allocated filming time. The options are limitless! We ask that the shoots are confirmed via a 1/4 deposit, payable before the end of JANUARY 2019 and then the shoots can be redeemed at any point throughout 2019, with the remainder of the budget split into three and each instalment due before the shoot takes place. If this is of interest to you then do give us a call or email us if you want to discuss this or anything else!